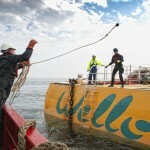 Finnish wave energy developer Wello Oy is extending its testing programme at the European Marine Energy Centre (EMEC) in Orkney having signed a one year extension to their original contract. 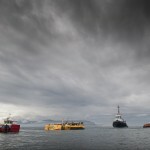 Their 1MW Penguin wave energy converter has been undergoing testing in Orkney since June 2011, and was first deployed at EMEC’s grid-connected wave test site at Billia Croo on the west coast of Orkney in 2012. Following the three test periods that have already been completed at EMEC, Wello have confirmed all internal components are still in good working order. The company is now focusing on demonstrating efficient and reliable device operations and performance to customers, whilst preparing for multi-device deployment in the near future. “We have established a great working relationship with EMEC who have been instrumental in the deployment and operation of our Penguin wave energy converter. “During the next test period one of our targets is to build the business case for multi device deployments. In preparation for the test season, Wello is adjusting device ballasting and will implement incremental improvements to the mooring system to build on learning already achieved through their testing programme. These changes aim to reduce operating costs related to permanent deployment at sea. “Wello is a great example of the benefits that extended real-sea testing can provide to technology development. 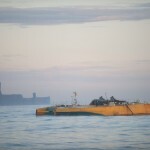 They’ve not only gained experience in installing, operating and maintaining a device in some of the harshest marine conditions, but are building on the learning gained to improve the design of their device and ready it for commercial arrays.